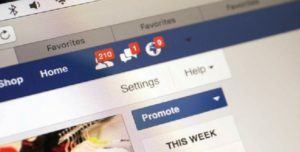 In January Facebook announced it was making changes to its newsfeed algorithm to favour posts from friends and family over those from businesses. Marketing expert Paul Clapham reveals what this means for your business page. Normally speaking, the media could put the phrase ‘changing a news feed algorithm’ in the largest type available and I would turn the page without a second thought. I suspect that the majority of P&P readers would show a similar amount of interest. If however you put the word Facebook into that phrase, it’s a totally different ballgame and that’s where we are. I doubt many people know the significance of changing an algorithm and that certainly included me until I went on the web to find out. Here’s the ‘suitable for Paul Claphams’ translation. Facebook’s algorithm is its operational structure. You know the operating manual you get with a new car that runs to 800 pages these days? It’s that but written in a language only computers and IT people understand. So when it’s changed it’s a big deal, roughly equivalent to ‘the accelerator is now on the left’. Facebook and similar businesses do this, not out of bloody mindedness, but to protect their market share, nor do I blame them. There are plenty of businesses such as garment decorators which gain lots of business via Facebook – no surprise there with the 1billion plus members they have. Plus it’s free and it works. Many small UK businesses are big fans and use it as a key marketing tool. It isn’t ‘just’ social media, it matters. The expectation is that the impact for business posts is going to change significantly. Mark Zuckerberg, the company’s CEO, has stated that users will see a lot fewer posts by businesses and more content from private individuals. The platform seems to be going back to its roots – communication between two people. Commentators in the media world are treating this as something of a calamity: your page will reach fewer people; referral traffic will fall; the amount of time spent watching video feeds will reduce. Depending who you read, such reductions may be somewhere between significant and drastic. If you are a Facebook advertiser prepare for price rises. As competition to be seen on the news feed increases, it is logical that prices will rise, although Facebook has not commented on this yet, but the law of supply and demand says ‘price rises’. Advertisers are going to be under increasing pressure to make their budgets work. Getting the creative side right will be vital. In my view this is no bad thing: an awful lot of design and copy that sees the light of day on Facebook and other social media is digital dross. Equally, precise targeting will be called for – again that’s a virtue. Facebook says it is going to prioritise personally meaningful interactions. I applaud the intention but wonder how successful its implementation will be. Content which prompts these interactions will achieve a higher ranking. Click bait, by contrast, will be penalised. We’re all going to have up our game – asking for likes or dangling the promise of freebies to get people to respond to you won’t cut the mustard any longer. Again this is going to make the platform more interesting. Any attempt to improve the quality of any form of media deserves our approval. As yet nobody has a clear idea of what the impact of the changes will be, but it appears that a sensible approach will mitigate any problems. That means don’t be tempted to try to side step the new structure, instead work with it. For garment decorators this ought to be straightforward. You presumably want to have those meaningful contacts that Zuckerberg refers to and your products and services lend themselves to such contacts. There is, however, a rumour doing the rounds on the web that Facebook will revisit an ‘experiment’ they conducted a while back in six small countries. Content from professional publishers, i.e. you and me, was removed wholesale from the news feed and put into the explore feed. Predictably users couldn’t find it and companies experienced a 50% drop in response. Ouch! Personally, I’d call that highly unlikely to be used in a major market like the UK. It’s far likelier that different feeds will as above be rewarded or penalised to fit Facebook’s aims. An American website called Slate describes the Facebook algorithm as ‘surprisingly inelegant, maddeningly mercurial and stubbornly opaque’. For those not used to IT speak, ‘inelegant’ is a major league insult. The above site also said that nobody knows how the algorithm works, to which I react with ‘somebody obviously does, probably rather quite a number of distinctly clever somebodies’. Moreover, the detailed content of the Facebook algorithm is not going to be made openly available to just anybody whose glasses are held together with Elastoplast. Guys, it’s a business secret, a fundamental ingredient of what creates the company’s revenue. You might as well expect food scientists to be given the formula for Coca Cola.